This lips care for your lips. Aloe, jojoba and beeswax combine to create the finest all-season lip product in Cambodia. Ingrédients: Aloe Barbadensis Leaf Extract, Simmondsia Chinensis (Jojoba) Seed Oil, Petrolatum, Ethylhexyl Hydroxystearate, Beeswax, Euphorbia Cerifera (Candelilla) Wax, Myristyl Myristate, Copernicia Cerifera (Carnauba) Wax, Ozokerite, Flavor, Allantoin, Propylparaben. Directions: Apply regularly to lips as a moisturizer. 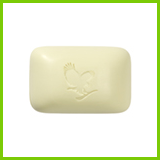 This Avocado Soap is a perfect example. Made with 100% pure avocado butter, it loves your skin with the natural rejuvenating properties of this fruit. Avocado offers relief for almost every skin type. It penetrates to nourish and moisturize. Ingrédients: Aloe Barbadensis Leaf Juice, Water, Hydrogenated Polyisobutene, C12-15 Alkyl Benzoate, Glyceryl Stearate, Cetyl Alcohol, Butylene Glycol, Disodium Cocoamphodiacetate, PEG-100 Stearate, Diethylhexyl Adipate, Ethylhexyl Stearate, Ethylhexyl Palmitate, Jojoba Seed Oil, Triethanolamine, Carbomer, Xanthan Gum, Allantoin, Vitamin C, Dimethicone, Disodium EDTA, Phenoxyethanol, Caprylyl Glycol, Sorbic Acid, Methylisothiazolinone, Parfum. Directions: To use on all the parts of the body, circular motion. 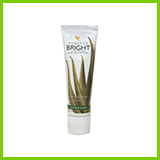 Forever Bright contains the highest quality products, formulated for all the family. One the best in Cambodia. Natural pep­permint and spearmint flavorings leave your mouth feeling fresh. Forever Living Products collaborated with scholars and dentist with the optimum formula. Ingrédients: Aloe Barbadensis Gel, Sorbitol, Hydrated Silica, Glycerin, Sodium Lauryl Sulfate, Carrageenan, Aroma, Bee Propolis, Sodium Saccharin, Sodium Benzoate, Chlorophyllin-Copper Complex. Directions: 1 to 3 time per day, brush teeth after meals. 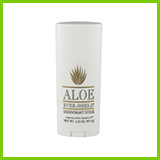 This deodorant without alcohol, without aluminium salts provides an effective protection. It does not stain clothes. 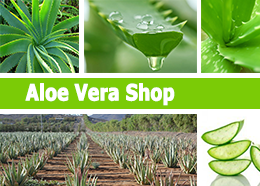 Its formula with aloe softens the skin. Ingrédients: Propylene Glycol, Aqua, Sodium Stearate, Aloe Barbadensis Leaf Juice (Stabilized* Aloe Vera Gel), Triclosan, Citric Acid, Ascorbic Acid, Parfum, Hexyl Cinnamal, Benzyl Salicylate, Hydroxyisohexyl 3-cyclohexene Carboxaldehyde, Linalool, 2-(4-tert-butylbenzyl) propionaldehyde, Geraniol, Citronellol, Benzyl Cinnamate, Alpha-Isomethyl Ionone , Eugenol, Limomene, Amyl Cinnamal, Potassium Sorbate, Sodium Benzoate. Directions: Apply in the morning or before the effort to a clean and dry skin.